RAIDON Internal RAID solution SR2611-2S-S2+ enables to accommodate 2x 3.5" SATA HDDs, supports RAID 0 & RAID 1 to backup data efficiently and safety. Besides, SR2611-2S-S2+ is equipped with buzzer which monitors system status in anytime, the system gives alarm when HDD failure occurs which is the best data backup solution for SMB and IPC working environment. RAID 0 (stripping) mode provides efficient performance on write/read data due to the file is divided into two halves and stored on two hard drives seperately. Backup data through RAID 1 mirroring function to prevent from hard drive failure. No driver required. 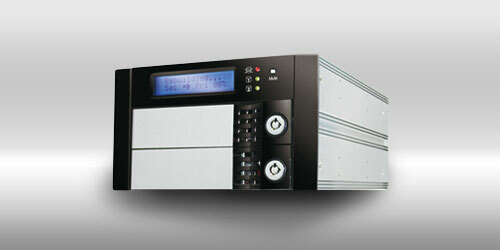 Easy to manage and monitor in time with LCD display. 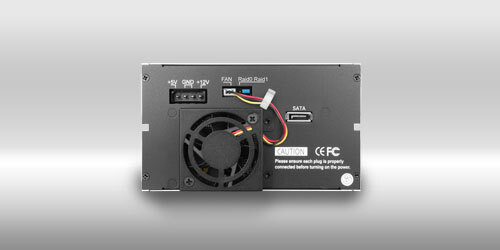 The failed hard drive can be directly replaced without powering off the system. SR2611-2S-S2+ supports 2TB big capacity hard drive to backup more vital data. Backup performance is based on HDD level that will not influence computer efficiency. 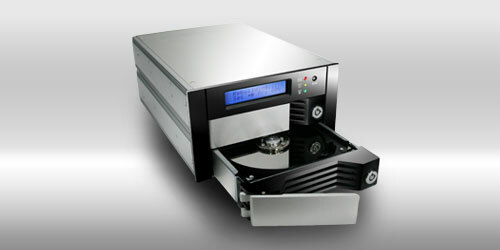 The system will monitor the hard disk, fan and temperature and gives alarm automatically when there is any HDD failure.